For both residential and commercial construction, marble and granite are two of the most widely used types of stone in the construction industry. The ruggedness and natural beauty of these types of stone add to the value and appeal of any room, especially kitchens and bathrooms. However, the installation of such stone requires the help of a skilled craftsman. If you learn this trade and set up the right business relationships, you may be able to earn a handsome living as an independent marble and granite contractor. 1. Write an effective natural granite and marble business plan. 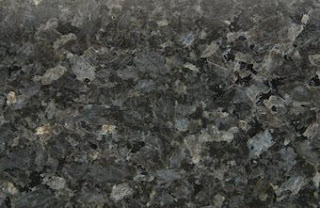 Familiarize yourself with granite and marble products that customers frequently order. Understand that homemakers prefer marble and granite for floorboards, kitchen countertops and bathroom furnishings. Know the regular product classification that granite and marble retailers require. 2. Develop an extensive and reliable source of premium stone products. This is imperative during the first phase of business operations. The granite and marble supplier must be able to deliver first-class products to customers. Settle on the most advantageous terms with your suppliers. In the same way, fulfill your commitment to clients in terms of delivery schedules and product superiority. 3. Seek helpful suggestions from experienced professionals who have been in the granite and marble business for some time. These experts may be able to teach you how to proceed with operations from the first few years until the enterprise has achieved total stability. They may teach you how to work quickly and efficiently, which is important in this job because the expensive nature of the material makes mistakes expensive as well. Such professionals may even be willing to take you on as a subcontractor, as some granite and marble jobs are too large or have time frames too stringent for one person to finish. 4. Secure all necessary permits and licenses. As an independent contractor, you may have to get specific permits and licenses in order to work in this industry, depending on your location. Use the Small Business Administration's license and permit search tool to find the licenses and permits specific to the granite and marble industry and your locale.